TCO Certified, generation 8 was launched at an event in Brussels, Belgium on December 4, gathering representatives from the IT industry, purchasing organizations, NGOs and other stakeholders. Find some of the highlights here. During the day, sustainability, procurement and IT products were discussed from different angles. Leyla Acaroglu, award-winning designer and UNEP Champion of the Earth 2006 talked about how innovation can help drive positive environmental and social change. She highlighted the opportunities of the circular economy. Sustainable procurement was discussed in a panel with representatives from ICLEI and the Dutch Ministry. Andreas Rehn and Sören Enholm from TCO Development presented the new generation of TCO Certified. The event was moderated by human rights lawyer and author Parul Sharma, who contributed with her insights on social issues and anti-corruption. TCO Certified, generation 8, is the next step toward a sustainable life cycle for IT products. The certification encourages a circular approach to the production and consumption of IT products by demanding durable products that can be repaired, upgraded and recycled. 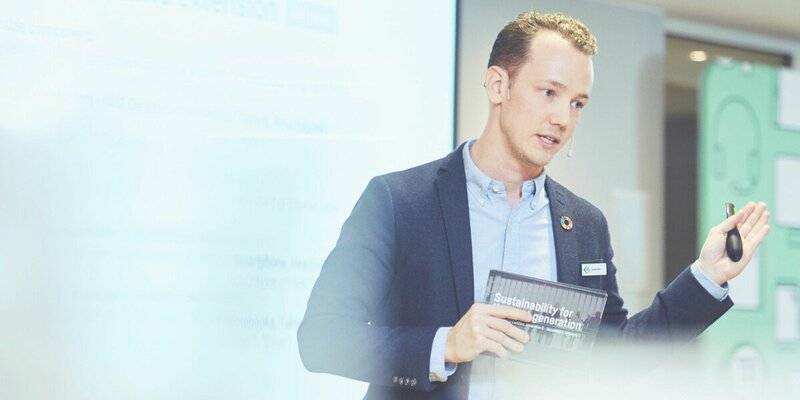 With the new criteria and verification methods, both the IT industry and purchasing organizations around the world can take a large step forward in supply chain responsibility and make clear contributions to the UN Sustainable Development Goals. By including the latest generation of TCO Certified in procurement, purchasing organizations get access to comprehensive life cycle criteria and independent verification of compliance. Contact us for free tips and support.